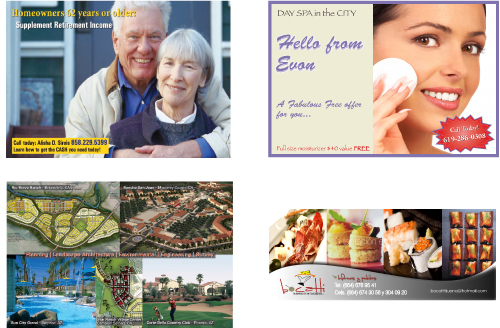 Postcards promote your products by sending postcards to everyone on your list. These regular and oversize postcards are printed on high gloss stock (glossy on both sides for a superior look) to give you a good looking postcard that will survive the mail and bring people to your door. Full color on both sides with free UV coating on the front of the postcard. An inexpensive way to get the word out !